I’m excited and flattered to be invited to be invited to interview again. John Byk of Writers Alive has been on my mailing list since he did a podcast interview of me for the release of Painted Black back in 2011. 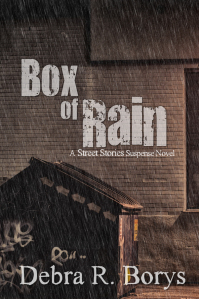 When he received my latest notice about Box of Rain being released in print later this month, he contacted me to ask if I would be interested in doing another interview. Of course I said yes! My 2011 appearance on his show was fun and an invaluable opportunity. He was a great host and made the live interview–which was my first ever as a published author–a great experience. I expect this one will be as well. I’ll post here whenever we get a date set up.